One of the deputies of a militant and kidnap victim, Don Waney, who was killed alongside five others by security agencies on January 7, has been captured by the police in Abuja. 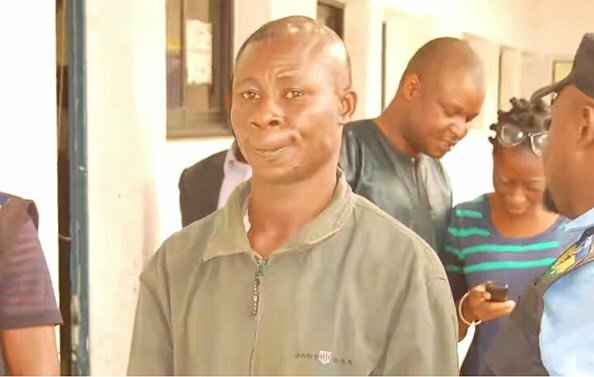 Desmond Okotubo, described by the police as a senior member of Waney’s gang, made startling revelations about his boss - the late notorious criminal. He also explained how they prepared for the massacre in Omoku, Rivers State, in which the gang killed 22 residents returning from church. The Punch learnt that he was trailed to and captured in Mpape, Abuja, where he had fled to when he escaped the shoot-out between members of the gang and security agencies, which resulted in the death of his boss in Enugu State. Okotubo was paraded before journalists in Abuja by the Force Public Relations Officer, Mr. Jimoh Moshood, on Thursday. He said that following the Omoku massacre led by Waney, the Inspector General of Police, Ibrahim Idris, set up a Special Police Joint Investigation Team, comprising the IGP-Intelligence Response Team, the Force Criminal Intelligence and Investigation Department, Force Department of Operations and the Rivers State Police Command to bring the perpetrators to Justice. He said, “The IRT attached to the joint team engaged some of the suspects in their hideouts in Awara Forest boundary between Imo and Rivers states. The shoot-out lasted several hours, resulting in the death of six of the suspects, while the others escaped with bullet wounds. He was said to have rented a new apartment in the area. The police said 32 year-old Okotubo, a native of Egbenma, in Ogba/Egbema/Ndoni Local Government Area of Rivers State, confessed to being one of the masterminds of the massacre. He gave details of how they planned the operation in Awara Town, Imo State, before they carried out the act. Even though he did not reveal the motive behind the killings, he said their leader (Waney) gathered them for a briefing on the night of January 31, 2017. Moshood said investigation was being intensified to arrest other members of the gang who were still at large. “The suspect will be arraigned as soon as the investigation on his part of the case is complete."